In the census of 17901 John was recorded living with his family at Rhiw Cottages, Llanfynydd. Head of the household was 36 year old Richard. His wife Sarah was 33. Their listed children were Edith 12, Rachel l0, George 8 and John 7. The 1911 census records the family at Rhiw Farm, Frith. Richard was 46 and Sarah 43. Their listed children were George 19 who was working on the farm and John 17 was a labourer. Also on the census was Sarah Oldfield a 72 year old Aunt. 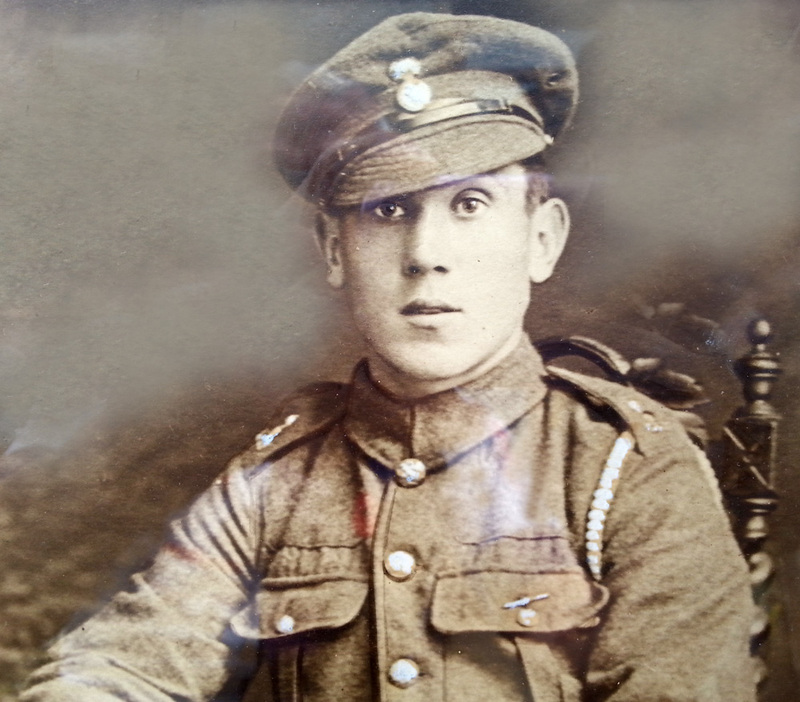 UK Soldiers Died in the Great War,1914-1919 confirms the above military details and states that he enlisted in Wrexham. 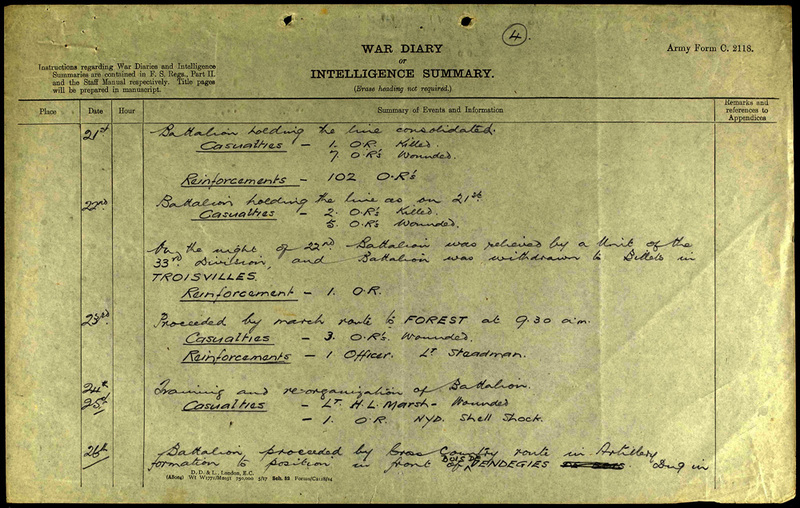 John’s service records are not available, but the 16th Battalion diaries show that they were active in the area where he died. In the days leading up to the 26th it states that “8 Other Ranks were wounded” John must have been one of these. See excerpt below.